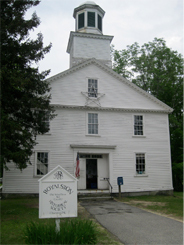 The Village Improvement and Historical Society of Royalston, Inc. was founded in 1943 and then became incorporated in 1946. It’s first obligation was to save Schoolhouse #1 which was threatened with demolition. It succeeded in that endeavor and today the building serves as a museum and post office. The Historical Society is a non-profit 501-3c corporation comprised of a governing board of directors and and a wide ranging membership open to all who pay the suggested annual dues of $25. 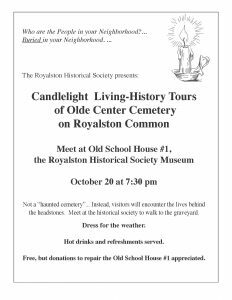 Besides maintaining the museum the society was instrumental in forming the Royalston Common Historic District (1976). Recent projects include restoring the ornate fence surrounding “The Bastille” which is mostly on public land and the acquisition of a collection of 18th century papers from early town settlers. 2018 is the 75th Anniversary of the founding of the Historical Society by members of the community. 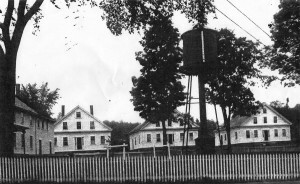 Now taking pre-orders for the 8 x 11 hardcover photo book commemorating the Town of Royalston’s 250th celebration weekend. Click here for more information!